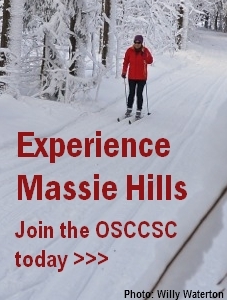 The Massie Hills trails have been groomed and track set. We received about an inch of fresh snow overnight and the groomers were able to cut into the base enough to provide good track set with a mix of fresh and granular snow. Overall conditions are good. We should enjoy it while we can.